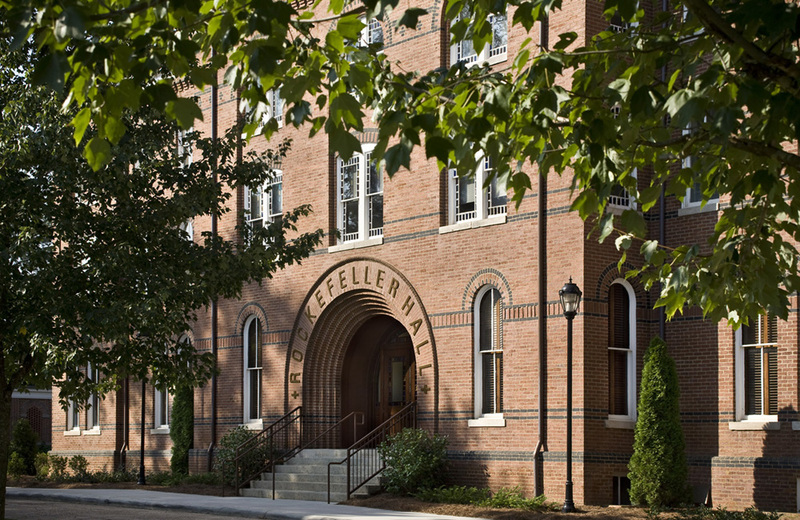 Rockefeller Hall, circa 1886, is the oldest building on Spelman’s historic campus, currently listed on the National Register of Historic Places. Prominently sited on the historic quadrangle adjacent to the President’s Cottage, this four story Administrative building is the centerpiece of the campus providing offices for the President, Vice President, Provost, and Academic Deans. 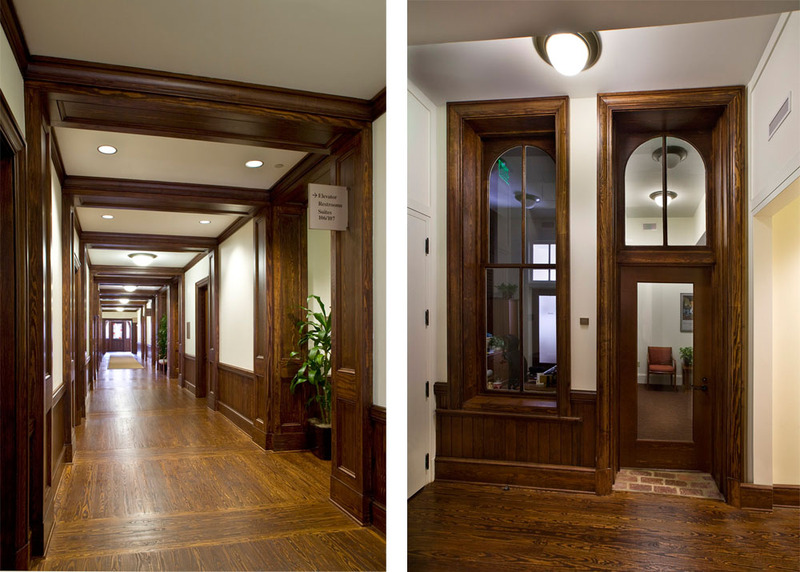 The project scope included extensive restoration of building exterior, reconfiguration of interior spaces, and addition infill wings carefully placed in the reentrant corners along the back of the building. 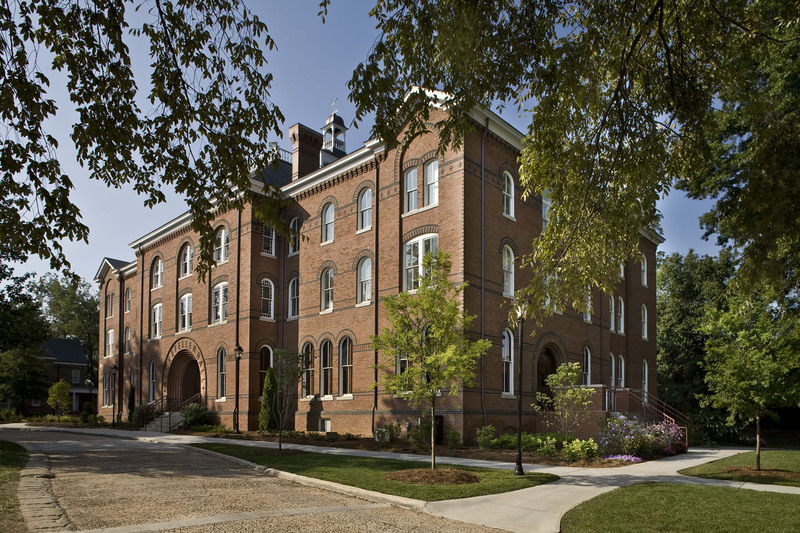 Rockefeller Hall received an Atlanta Urban Design Award of Excellence for Historic Preservation and a Design with Brick Award. 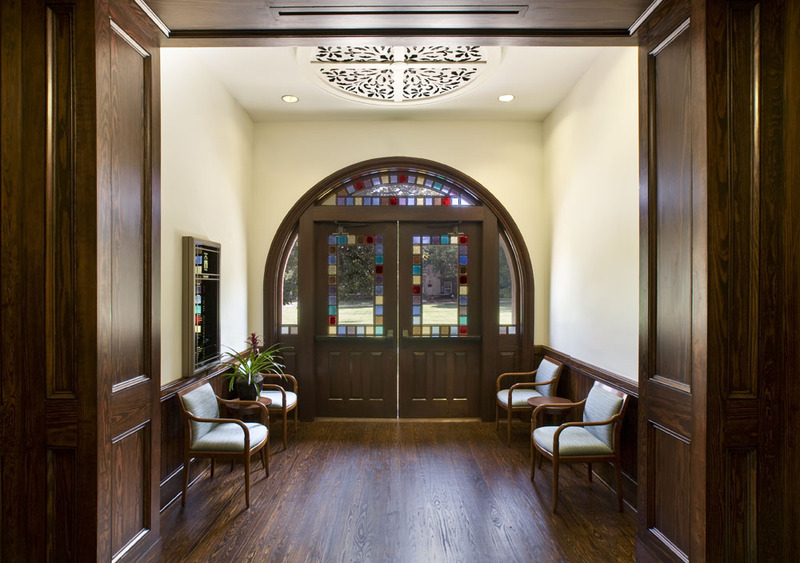 The original building (29,632 GSF) showcases magnificent masonry details including water tables, arched windows and entry portals, intricate corbelled cornices, and selective brick coloring. The infill wing additions (8,186 GSF), while elegantly detailed, pay homage to the original details without mimicking them, allowing them to read clearly as physical evidence of a different time period. Where brick stain banding was utilized on the original façade, masonry is slightly recessed on the additions as a subtle continuation of the horizontal “banding” utilizing shadow for contrast in lieu of applied color. The new arched cornice is translated as a simple corbel without the intricate arches. Arched window heads are maintained, but stripped of their decorative stained glass. The slate roof is an historically accurate replacement of the original.